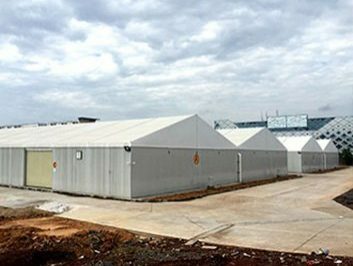 At the beginning of setting up storage buildings, companies cannot make the most accurate estimation of the future. 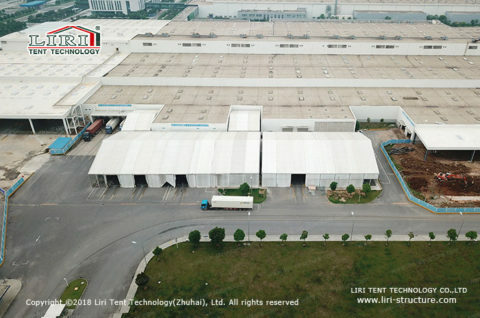 Most of them have faced the problem of insufficient storages. 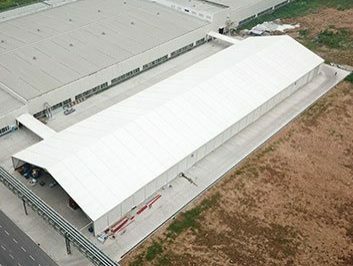 In general, fixed storage buildings cannot be moved after built that will waste the land space. However, the temporary storage buildings offered by Liri Tent don’t waste any space because of movable and flexible. 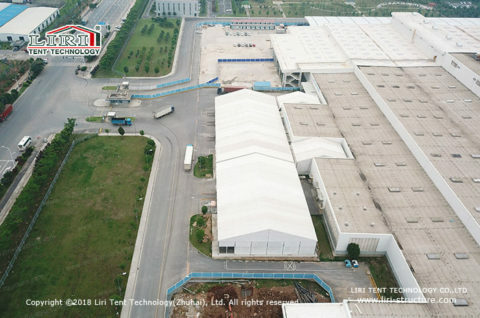 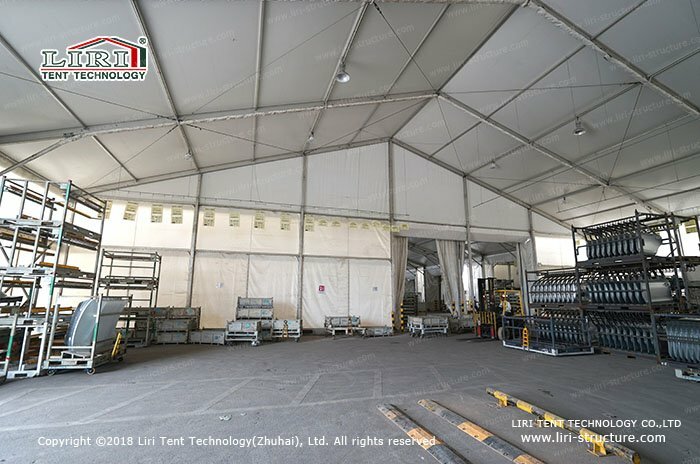 In order to solve the problem of storage and the difficulty of relocation, Liri Tent has redesigned the traditional storage construction, transforming into a flexible one, which can be quickly dismantled and relocated, reusable temporary storage buildings, to solve the problem of difficultly expansion and management. 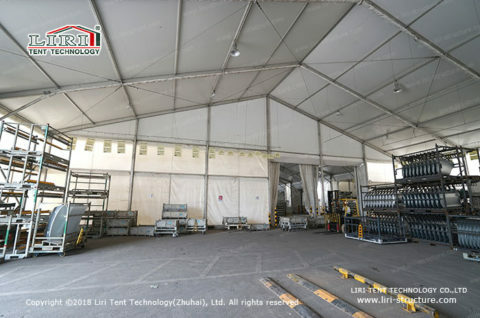 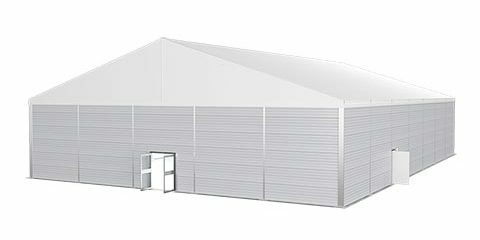 As temporary buildings, the advantages of temporary storage buildings are: regular design, interchangeable structure, infinitely extend or shorten. 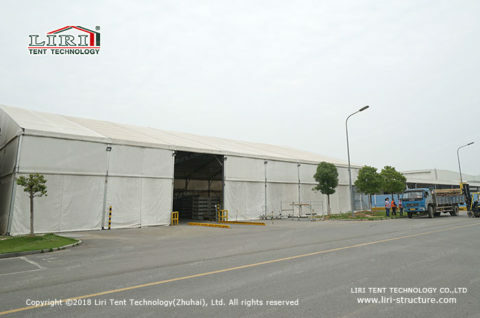 Taking advantage of these, companies can make full use of each space and build it free. 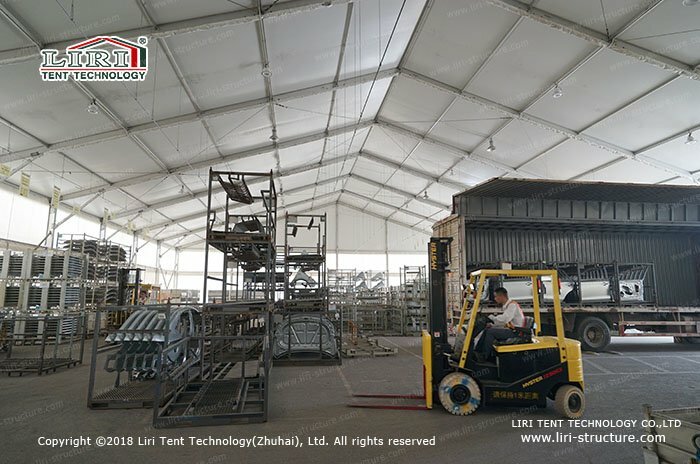 Compared with the complicated process of traditional storage buildings, Our temporary storage buildings only need to customize all the tent components in the factory in advance, and have an easy foundation treatment after transported to the site, which greatly saves time and costs, more importantly is to reduce the expenses of companies, can quickly expand or reduce the area at any time in the future. 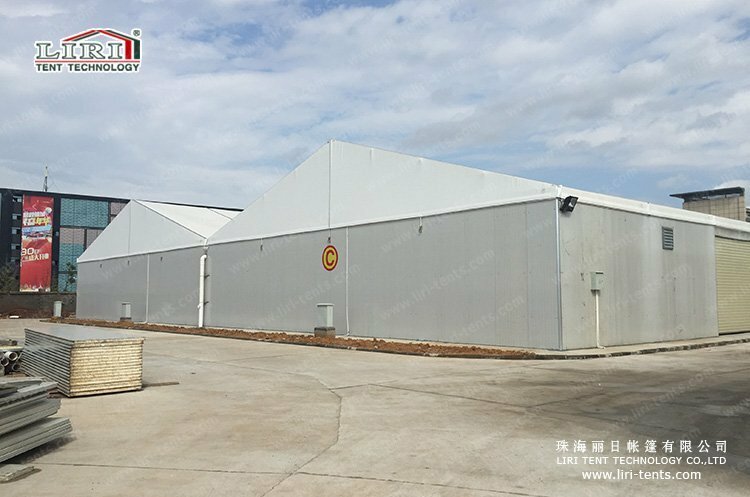 This’s why temporary storage buildings are gradually replacing traditional warehouse, becoming the first choice for the development and expansion of enterprises. 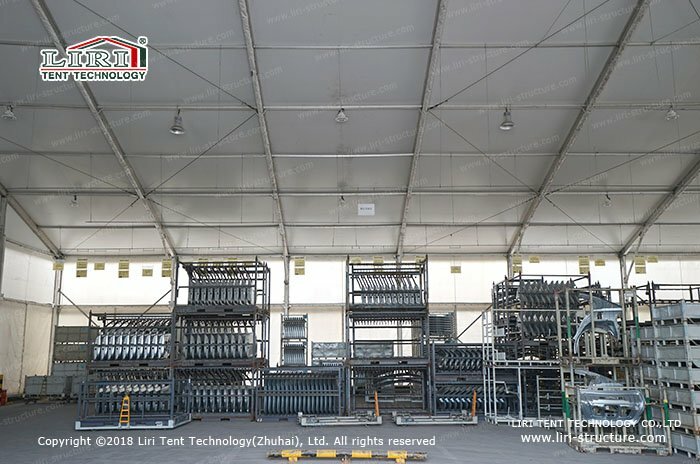 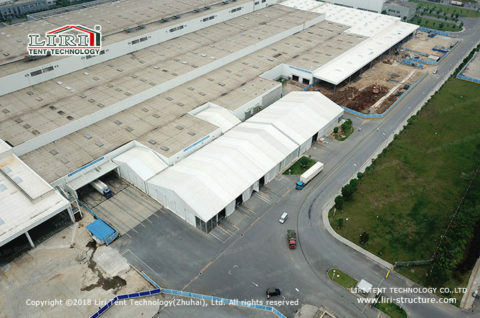 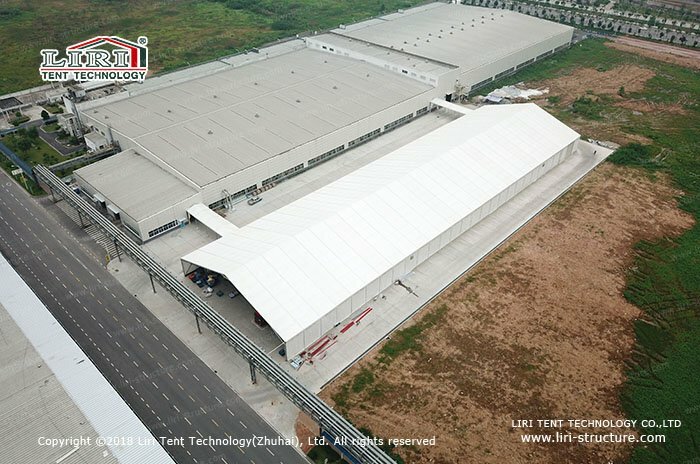 LIRI temporary storage buildings can also provide supporting facilities such as windows, air-conditioners, exhaust fans, lights, drainage systems, and anti-collision columns for customers to choose. 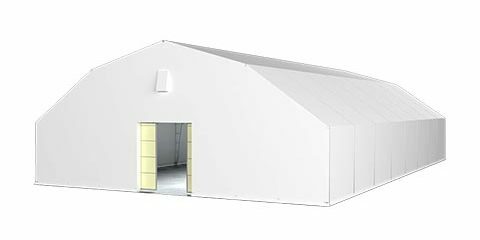 The new temporary storage buildings can also be used for temporary workshop or hangar. which focuses on safety and practicality, they’re not easy to be affected by weather, can be used for 20 years. 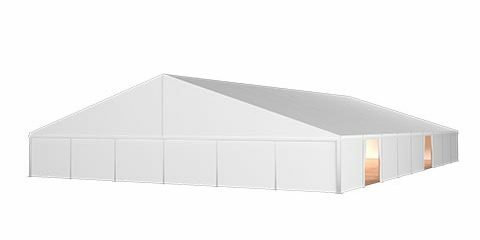 The gallery is a design sample of temporary storage buildings for customer needs. 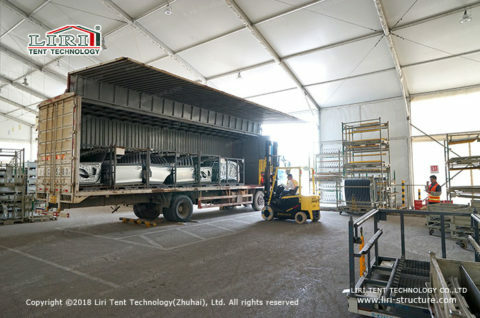 The entrance hall serves as a buffer, at the same time, it guarantees that the loading and unloading of goods will not be affected by the weather, so that those unclassified goods can be stored for a short time, which can ensure the orderliness of temporary storage buildings.